We carry original HEM Incense sticks at lowest price. Our collections includes wide variety of HEM incense fragrances including favours fragrances such as HEM Mogra Incense, HEM Lavender Incense, HEM Patchouli Incense, HEM Attracts Money Incense, HEM Precious Patchouli Incense and many similar. We carry various HEM incense collections such as Precious range collection, Aradhana range collection, Saint collection and more. 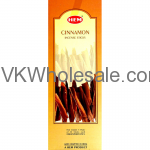 Minimum quantity for "Cinnamon Hem Incense - 20 STICK PACKS (6 pks /Box)" is 3. 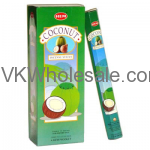 Minimum quantity for "Coconut Hem Incense - 20 STICK PACKS (6 pks /Box)" is 3. 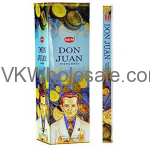 Minimum quantity for "Don Juan Hem Incense - 20 STICK PACKS (6 pks /Box)" is 3. 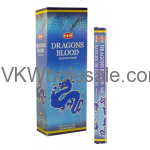 Minimum quantity for "Dragons Blood Blue Hem Incense - 20 STICK PACKS (6 pks /Box)" is 3. 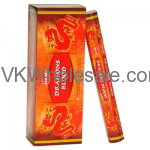 Minimum quantity for "Dragons Blood Red Hem Incense - 20 STICK PACKS (6 pks /Box)" is 3. 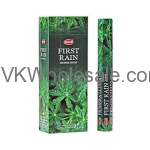 Minimum quantity for "First Rain Hem Incense - 20 STICK PACKS (6 pks /Box)" is 3. 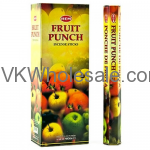 Minimum quantity for "Fruit Punch Hem Incense - 20 STICK PACKS (6 pks /Box)" is 3. Minimum quantity for "Go Away Evil Hem Incense - 20 STICK PACKS (6 pks /Box)" is 3. 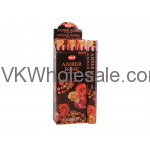 Minimum quantity for "HEM Amber Rose Incense 6 CT" is 3. Minimum quantity for "HEM Amber-Sandal Incense 6 CT" is 3. Minimum quantity for "HEM Call Money Incense 6 CT" is 3. 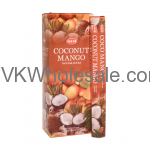 Minimum quantity for "HEM Coconut Mango Incense 6 CT" is 3.